Are you a fan of Batman & Robin superheros? 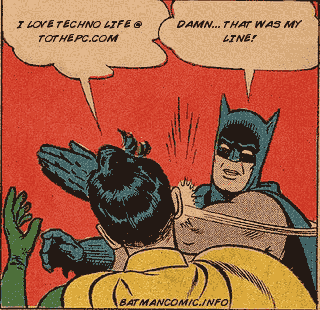 Spill your fan following using cool online comic image generator for “Batman & Robin”. 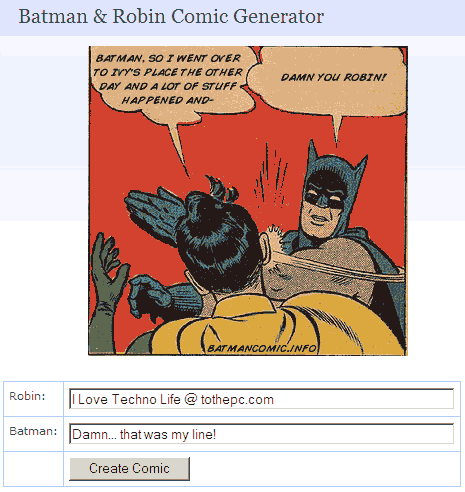 It allows you to generate Batman & Robin image with customized text quotes or speech bubbles. In the pic, Batman is slapping Robin real hard and you get to customize the one liners for this shot. 2. Type lines for Batman & Robin as seen in screenshot below. 3. Click ‘create comic’ button to see you customize comic image. Above should be your final image with customized text speech bubbles!